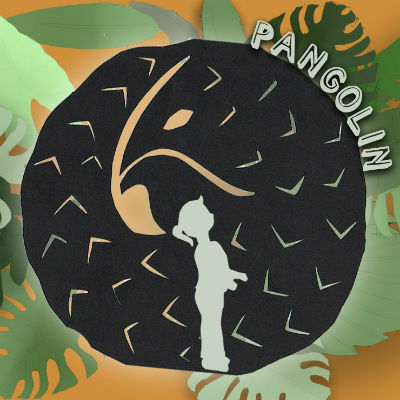 Pangolin is a new family play which aims to raise awareness of the plight of a remarkable animal, facing the risk of extinction before many people even know it exists. Produced by Ships in the Night, in association with Born Free, the production will tour to venues in England in Autumn 2019 and is a refreshing opportunity to share what is a current and vital conservation message. Pangolins are the most trafficked mammal in the world, and thousands are taken from the wild each year. There are eight species found across Africa and Asia which range from Vulnerable to Critically Endangered according to the International Union for the Conservation of Nature. They are the only mammals in the world to be covered in scales – which act as an impenetrable armour to most natural predators. However, their scales are highly sought-after for use in traditional medicines and can be used as a decoration. While their meat is considered a delicacy on some menus, especially in Asia. "The play is about a girl who chooses to stand up for what is right, even if it might cost her," said Sheryl Hill, creator and director. "We are now launching a Crowdfunder campaign to raise funds for this production. It's an amazing opportunity for the public to get behind a number of important issues: to raise awareness of the remarkable pangolin, to support artists and theatre makers who are creating new work for families and to inspire a young audience to take a stand to make a difference in the world."